Search free genealogy collection of vintage letters from soldiers and ordinary people. Find your ancestors and build your family tree. Includes tips and articles on finding and preserving old documents. Kent County school records (1903-1925), Grand Rapids newspaper obituary indexes beginning in 1920, and biographical indexes are a few of the online resources available on the WMGS site. Obituary records for residents of the Gogebic Range in Northern Michigan from 1884 to the present. 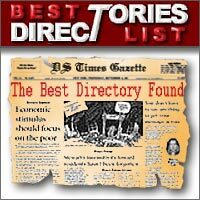 Searchable database. An official passenger list for the Mary and John 1630 has never been found. This site will help you find your ancestors if they were aboard this ship. 27 Volumes. User contributed newspaper abstracts from newspapers in the published prior to 1923. Most contributions are from North America and Great Britain. A source for genealogy enthusiasts to find ideas and resources to bring their family history to life. The focus here is on writing family histories and genealogies. The visual genealogy website that has thousands of old photos that adds a face to the lists of names and dates.